“I’m sorry we do not have such a thing as an English Piano”. These are the words Adam and Charlie Cox, a husband and wife team running Yorkshire Pianos, found themselves saying to many of their customers looking for a new piano. “People grew up with British pianos at school and at home and we find that when people come to buy their own piano they are often looking for that mellow sound that they grew up with”, says Charlie. 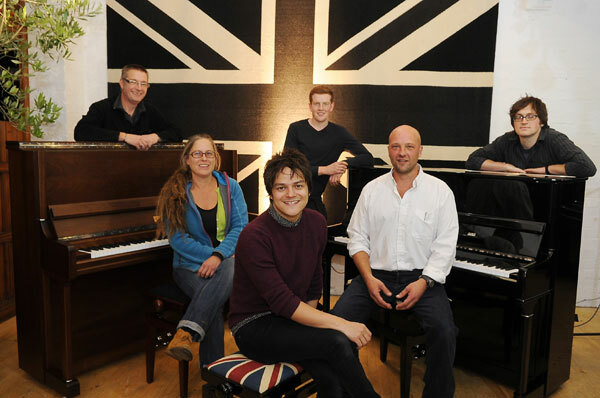 When the Kemble factory closed in Milton Keynes a few years ago, it sounded the death knell for British pianos making. It was the last remaining factory and when the gates closed for the final time skilled workers, some of whom had been involved in the piano industry all their lives, found themselves with nowhere to turn. “We felt we had no choice but to either lose British Piano manufacturing forever, or try to resurrect the art of making pianos in Britain” says Adam. Having traded for 15 years in Leeds as Headingley Pianos, the team searched for new premises to not only act as showroom, but also as piano manufacturing base. They looked at shops, industrial units, church-halls… even a church! After well over a year’s searching they had almost given up looking. Of course when they took it on it is was more like barn than a piano showroom and workshop but with the use of a bank loan and the help of local Wharfedale firms they were able to transform it and it is now perfect for their needs. “Lots of people ask if it was originally a church or chapel” says John Spencer, head technician, “reclaimed ecclesiastical panelling and doors were used in the conversion but it was built originally as a forge.” Situated just off the busy A59 at the foot of Beamsley Beacon with wonderful views in all directions it’s certainly an inspiring place to work. The Duke and Duchess of Devonshire paid them a visit early on and were interested and then excited at the prospect of a piano shop and manufacturing base on their estate at Bolton Abbey. “They have backed our project every step of the way so we felt ‘Cavendish’ was the perfect name for our pianos, being the Duke and Duchess’ family name. Without their kind patronage none of this would have been possible”, says Charlie. “Price-wise things are starting to go full circle” says Charlie. The days of cheap far Eastern pianos are ending as their manufacturing costs are steadily going up (some Chinese pianos have almost doubled in cost in the last few years) and shipping prices are soaring. We find ourselves in the position where British goods actually can compete with far eastern goods in the UK. “Unlike microwave ovens, pianos are one of those things that are better used in their country of origin” says Adam “They are very susceptible to climate changes. After all, you have to remember they are a complicated wooden machine which has been made in the same way for a hundred years." They have already had interest from many quarters and are just managing to keep up with orders at the moment. Cavendish pianos are even being well received in China explains Adam, "we exhibited at the enormous Shanghai Music Fair last year which was a real eye-opener. There is such a great appetite for quality pianos in China." Export to China now makes up a large part of Cavendish sales. 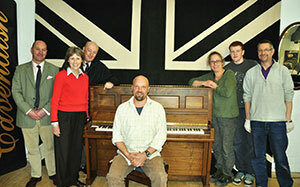 "We have been involved with pianos all our working lives - they are just such beautiful things! We feel proud to be making them" say Adam and Charlie. It seems to me they have a right to feel proud producing pianos in Yorkshire using not just traditional skills, but love. There is no shortage of skilled workers in the piano industry and allied trades in this country. In fact, many components are still made here and exported all over the globe for piano making abroad. “We felt it was crazy that British expertise was being used to make the highest quality components for the piano industry and yet no finished products were being made in this country” says Adam. 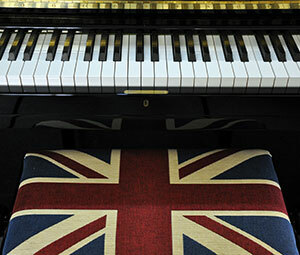 For example, Hainsworth in Leeds produce cloth and felt used in the manufacture of many German pianos such as Steinway. As one of the oldest companies in the UK (established 1783) Hainsworth certainly know what they’re doing when it comes to textiles and their knowhow and heritage is legendary in the piano trade. It's no coincidence that one of the leading woollen mills should be in Leeds, famous throughout the world for its history of textile production. It was however coincidental that their wood source, British Hardwoods, should be based in the Yorkshire Dales. Also their supplier of wood finishes is near the traditional cabinet making town of Thirsk. Silchrome Plating in Leeds, founded in 1949, work in everything from aerospace to classic cars. 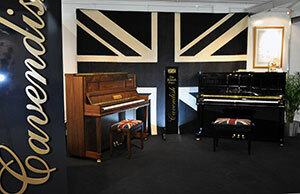 Cox says "We quickly started to realise we were not making ‘British pianos’ but ‘Yorkshire Pianos’. Surrounded by pianos in various states of construction, John Spencer, head technician at Yorkshire Pianos, sits down at a newly finished Cavendish piano. “Of course the sound is the important thing” says Spencer. “We are looking for that rounded, European tone that is part of British piano heritage.” Spencer plays a smooth sounding chord then moves over to a well known Far Eastern made piano and does the same. The difference is staggering! Charlotte & Adam are partners in the family firm which began in 1990 as Headingley Pianos and later moved out of Leeds to become Yorkshire Pianos. With over 20 years experience in the piano trade they have always wanted to build pianos and in many ways this is the realisation of a dream. 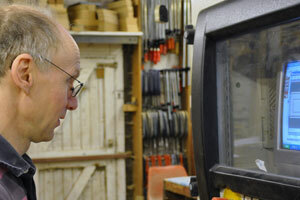 Chris is a skilled cabinetmaker based in Otley, West Yorkshire. He has a lifetime's experience working in fine woods and veneers. 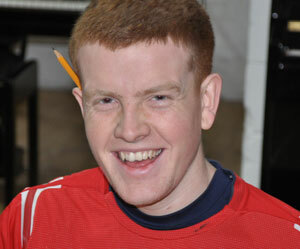 Adam joined on the apprentice scheme in 2010 after a training in joinery. 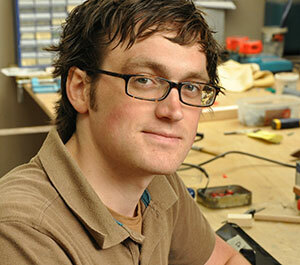 He has quickly learned many of the skills of piano making and is a skilled technician. Jason Winder is a designer maker who creates furniture, fitted cabinetry and high quality woodwork that is carefully designed with functionality in mind and beautifully made using locally sourced materials. Sustainability and the highest respect for nature are at the core of all products from conception to completion. 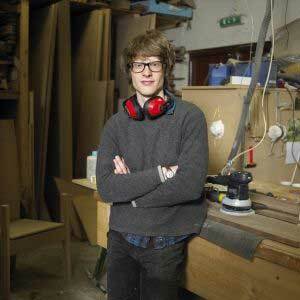 A young design graduate who is undergoing an apprenticeship in furniture making has brought his own up-to-the-minute style to the North Yorkshire furniture firm where he is being trained. Jason, 25, has launched a contemporary mid-century style range of pieces for bespoke design specialists Designermakers in Nidderdale. 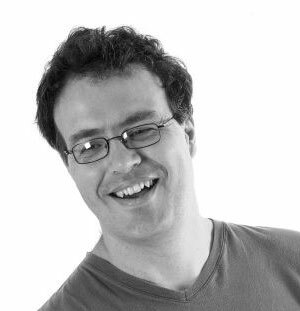 John Spencer is a Bluthner trained technician and went on to build pianos with Laurence and Nash in Otley. 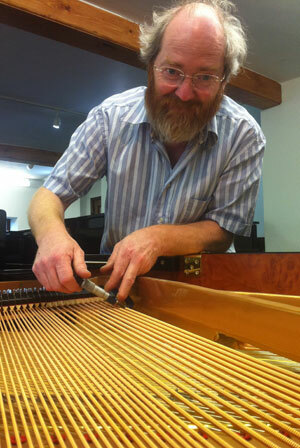 He has a wealth of experience in piano building and rebuilding. 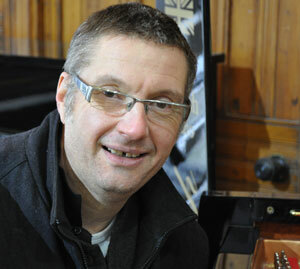 He joined Yorkshire pianos in 2002 and oversees production of Cavendish Pianos. 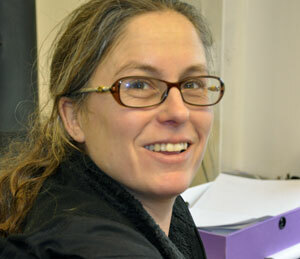 Jackie started working with us in 1998. She qualified with a scholorship at Leeds Music College as a Piano Technician and is regarded as one of the country's best piano regulators and fly finishers. Barney... ...playing the piano since 1969... ...tuning and repairing pianos since 1982... ...making bass strings since 1992... ...Member of the Pianoforte Tuners Association since 1997. After a degree in sound engineering Joe attended the Advanced Piano Tuning and Repair Course at Newark College where he qualified with flying colours. Joe is building on his skills learning the art of piano making. We are pleased to be able to offer work to Newark graduates and hope that we can build a relationship of work placement and experience with the college thus helping to preserve the endangered art of piano building in Britain.. Originally educated as a design engineer with 15 years experience, David turned a life-long interest in furniture making into a new career in 2003 after training at Leeds College of Art and Design. Well grounded in traditional and modern furniture making materials and techniques, David's passion is for applying a clean-lined engineering approach to his designs while still creating superbly crafted furniture, always without compromise. 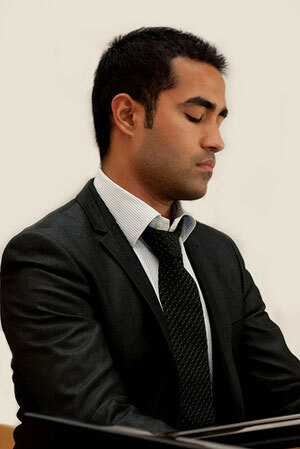 Emmanuel is an up and coming young concert pianist named as Yamaha's artist of the month. 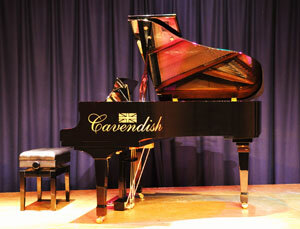 He has helped develop the Cavendish piano sound and is well aware of the needs of performing artists. The first oak log was converted at Lotherton Hall in the Vale of York in 1993. Using a mobile chainsaw mill purchased with the help of a £3000 loan, Joiner and Wood Machinist Tony Fillingham gradually built-up a stock of mature hardwoods from fallen and inaccessible logs. In 1994 the first kiln was commissioned drying 250 cu. ft. per month. This was closely followed by the installation of timber processing machinery. British Hardwoods has moved premises three times since then and now operates from its own 14500 ft² purpose built factory on the edge of the Yorkshire Dales. Brimming with state of the art machinery and quality kiln dried hardwoods, the unit also boasts superb offices, showrooms, a trade counter and shop. The entire building is heated with an eco-friendly system utilising waste shavings and all timber used, comes from sustainable resources. British Hardwoods also has excellent environmental credentials. Louis Renner began on a very modest level with the production of piano mechanism in October of 1882. Renner today is the largest, independent purely action manufacturer for upright and grand pianos in the world. The company's success is due to their ability to produce custom made actions for the individual customer. Apart from Schimmel, Renner mechanisms are exclusively used by such reputable companies as Steinway & Sons in Hamburg, Fazioli/Italy, Bösendorfer/Austria, Grotrian-Steinweg, Bechstein Ibach, Feurich, Seiler, Sauter, Steingräber & Söhne, Pfeiffer, Leipziger Pianofortefabrik, Zimmermann, Steinberg, Blüthner, and Förster. In other words, all the German piano manufacturers. Moreover, Renner can count other reputable European piano manufacturers among their customers, such as Rameau, Generalmusic, Petrof, ERA Seidl, Calisia, Legnica, and in Asia such famous companies as Daewoo, Samick, Young Chang, Kawai as well as all well-known companies on the American market such as Baldwin, Charles Walter, and Mason & Hamlin. Making use of the latest know-how in the application of computers and electronic controls, superior quality is produced, as the former premier of Baden-Württemberg, Dr. Lothar Späth, said: "Quality is honesty in action" or as a Swabian put it: "Quality, that's a matter of decency." With over 30 years of proven experience Hainsworth partner the most prestigious names in the piano market including Steinway and Renner. Our pure new wool woven cloths provide excellent shape retention and durability. Our ISO9000 standing and strict quality control throughout the production process enables manufacture to the tightest tolerances. The cloths are designed specifically to fulfil their unique part within the piano – from the smooth movement of the pin to the ultimate cushioning of the hammer. As the world leader Hainsworth can adapt our proven quality cloths to conform to customers own manufacturing specifications. Our constant aim is to give our customers consistency and stability of product to allow for the most effective smooth and quiet use of the cloth within the piano. Our fully equipped in-house conversion facility allows us complete flexibility in providing tailored products sizes to our customers' end uses– offering the full range of washer and strip sizes. Piano strings are hand spun by Barney Unwin and can be supplied for grand pianos of all sizes and for all upright pianos. 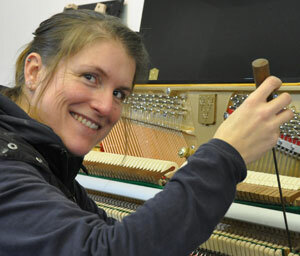 Fitting piano strings is a skilled job and should be carried out by an experienced piano tuner or piano technician. Each piano string, whether made individually or as part of a set of piano strings, is made to order so you can be sure that your piano strings will fit your piano perfectly. Piano strings hand spun by Barney Unwin are competitively priced and are shipped worldwide including the UK, the USA and Europe. Unrivalled expertise and vast experience combine to provide the most complete and versatile pianocraft service on offer. Barry and Roberta can restore the most worn-out and mistreated instruments to original condition. 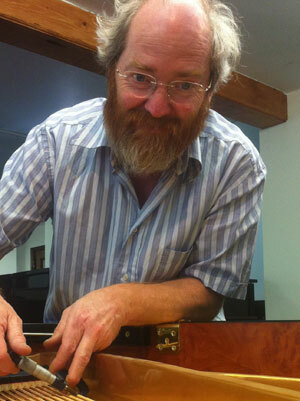 For a new lease of life for your instrument, contact Barry Caradine. You'll find it's music to your ears. Barry started his piano restoration and refurbishing business after a career with Bösendorfer as a concert technichian in the UK. He qualified after training under Malcolm McKeand, at the London college of furniture. Carradine bought up equipment from the Kemble factory on its closure in the UK which is used to make parts for Cavendish pianos. The adhesive market is constantly evolving, Delta Adhesives record of developing products that give excellent results on the most difficult materials, will ensure that customers can continue to specify our grades with confidence that their needs will be met. Established in the North Yorkshire village of Sowerby near Thirsk in 1965, Rydenor Products was acquired by Geoff and Anne Etherington in 1980 and moved seven miles south to the village of Hutton Sessay. The company has expanded and developed in that time constantly broadening and upgrading its wood care product range. A move from the buildings in Geoff's backyard to a purpose-built commercial unit between Dalton and Topcliffe in 1992 further enhanced the company's ability to serve its customers. 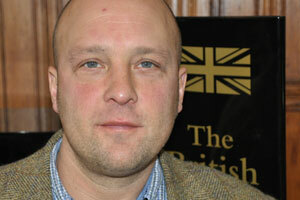 Geoff's son Roger joined in 1989 and now runs the company. Rydenor's wood care product range is vast, from it's own 'Waxwing' range of waxes and French polishes, through to many other products found in the restorer's workshop, to lacquers, stains and waxes from the leading manufacturers. Now in its third century of continuous service, Henry Shaw & Sons Ltd has become one of the UK's largest trade suppliers of woodscrews, fixings and fastenings, nails, bolts ironmongery and fencing products. Dickens Brothers Ltd is a small family company, which has been producing leather since 1897. The founder of Dickens Brothers, William John Dickens was born in 1860, the son of a village shoemaker. John Dickens (his preferred choice of name) spent all of his early working years in various leather related trades before deciding to set up his own business in 1897. Two years later he decided that new premises were necessary and acquired land to have a purpose built factory situated in Kettering Road Northampton. This was completed in 1900 and this where we still produce leather today. During a century which has seen many industrial disputes in the wider economy, Dickens Brothers was hardly affected. In fact in the general strike of 1926 just a handful of days was lost. At least ten Dickens Brothers employees clocked up more than 50 years service during the century of existence. The spirit of the company has always been that the directors worked along side the employees and today Brian Dickens can be seen in the warehouse amongst bales of rough leather and horses of finished leather. At Thomas Flinn & Co., we have been providing high quality saws all over the world since 1923. Many of our brands have history dating back into the 18th century and are well recognised as the sign of quality in saw making. Our brands include: PAX, Lynx (The Garlick Saw Company) and more recently, the Dorchester and Parkstone brands which originate from Roberts & Lee Saws. We are proud to be standing as the UK's only remaining traditional saw manufacturer. We pride ourselves on having a skilled combination of modern technology and traditional hand craftsmanship associated with only the finest saw manufacturing. We intend to provide only the highest quality products which will last you a lifetime with care. Our retail website enables us to continue our company ethos further, where we aim to promote high quality, Sheffield made tools. Many of these tools are also made by independently owned companies, which like ourselves have lengthy history and generations of craftsman still making these tools. It is through customer appreciation and support that this tradition can continue into the 21st century. Dovetailors cabinet makers produce made to measure furniture and kitchens-furniture designs that are literally tailor-made around you. You give us an idea, and we make it by hand into something truly bespoke. And if you don’t have an idea of what you’re looking for, don’t worry, we can work it out together. We’re also quite handy at creating designs that you’ll love before we even lift a chisel. What makes us unique is that we hand-make furniture you won’t see anywhere else, except maybe in your head. So for bespoke kitchens and fitted furniture that’s made to your measure, you’ve come to the right place. Everybody fits in around here. Silchrome Plating Ltd is a privately owned company established in 1949 and offers a wide range of metal finishes to a variety of industries. These include:- Aerospace, Defence Industries, General and Precision Engineers, Shop Fitters, Plumbers Merchants, Jewellers, Antique Dealers, Classic Car and Motor Cycle Restorers to name a few. Over the years the Company has received many customer and industry approvals. All processes are rigorously controlled to ensure all coatings and finishes confirm with the relevant British Standards, Defence Standards, American Military Standards or customer specific process specifications. The Gabor System will take your acoustic musical instrument into another dimension of the electrical world. This simple marriage of acoustic with electric works very well, it allows you to play on your acoustic piano and can sound like a Cathedral Pipe Organ, a string quartet or anything you want it to sound like. The Gabor System enables you to connect direct into your computer and record your composition into your PC, and use it as a recording studio. Heckscher & Company was established in 1883 by Siegmund Heckscher who had recently arrived in London from Hamburg. The company moved to its existing Bayham Street premises shortly afterwards. Siegmund was succeeded by his son Leo, who ran the company until his death in 1958. He had been assisted by his sons Derek and Roy, who continued until their retirement in 1984. Martin Heckscher, Roy's son, joined the company in 1971 and continues the family tradition as the current Managing Director. Since 1883 it has been our aim to provide all our customers in the piano trade with the best possible service. That aim is as keen today as it was then. All Types Of Removals. Specialist Ombudsman approved scheme guaranteeing quality service value & integrity by a vetted removals company. Call us & ask for more comprehensive information. Our Experienced staff offer a high quality service including specialist for piano's, antiques, paintings etc including full packing if required. We have more than 70 years experience plus the design expertise and manufacturing capability to produce custom hinges for demanding applications. 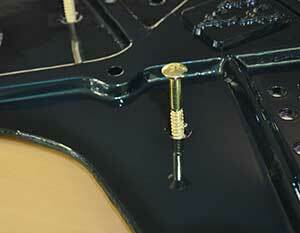 The high cost of initial tooling has been the drawback to producing custom hinges by traditional methods. We have invested in state of the art manufacturing equipment which overcomes this problem. This means that high quality custom hinges can be produced quickly with minimum, and in some cases, no tooling costs. Our highly skilled team with state of the art manufacturing methods, produce quality hinges you can rely on. One of the UK's largest independent lubricant manufacturers. The production of Smith and Allan lubricants dates back to 1925, the intervening years have seen us forge strong and lasting relationships with the world's largest additive manufacturers and in particular with Shell Oils. Anita Lear Sancha MA RCA, Welsh Business Woman of the Year 1999, formed Anita Marquetry in 1991 having developed a passion for marquetry. The well established team of professional arts graduates in our design studio are highly qualified, competent, innovative and enthusiastic. They love their work and you will love working with them. From initial contact the team will work alongside the client giving advice on design, materials and techniques to ensure the accurate interpretation of the concept. The combination of skilled craftsmanship with modern technologies means that we can complete the most complex projects in weeks rather than months. Our clients return time and time again - a testament to our quality and service.